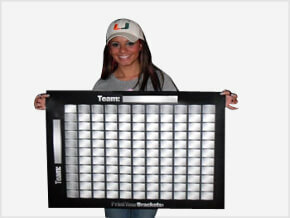 The Halftime Line Square Grid is a slight variation to the normal Football Squares. The only difference is you will draw different numbers for each half of the game. This will allow the participants in the pool to have a different set of numbers for the first and second half of the game. 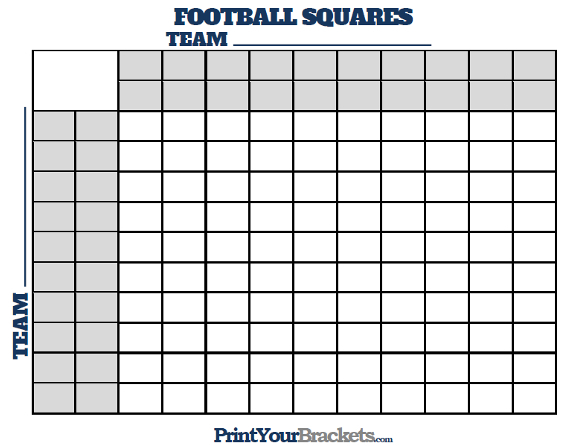 We also have Quarterline Football Squares where the numbers change for each quarter.